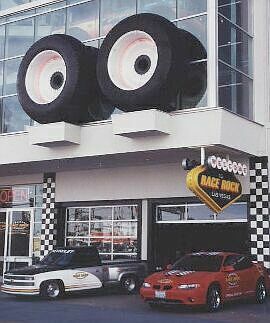 Race Rock was a unique restaurant and a showcase of racing memorabilia. It was located at the corner of Fremont Street and Las Vegas Boulevard. 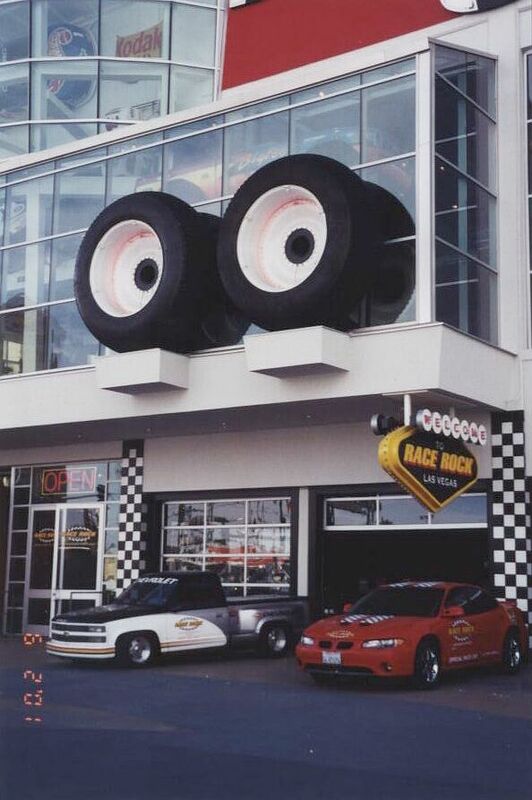 The outside of the sports-themed business caught people's attention with a truck encased in the front entrance and the large glass windows allowing a glimpse of the interior decor. Inside there were floor displays and displays hanging from the ceiling. Race Rock was owned by racing celebreties. 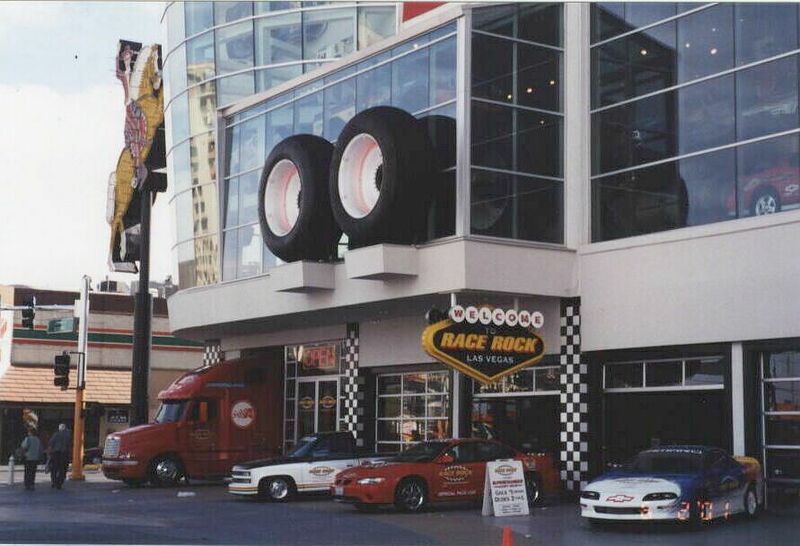 The place opened in November of 1999 and was closed in April of 2001. Lack of business because of the delay in the opening of an entertainment complex (Neonopolis) across the street was the reason given for the closure.